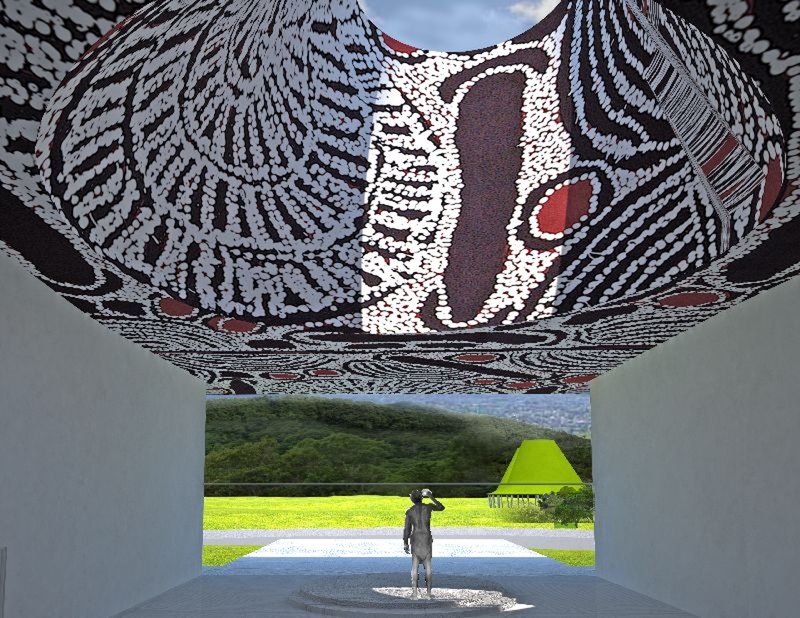 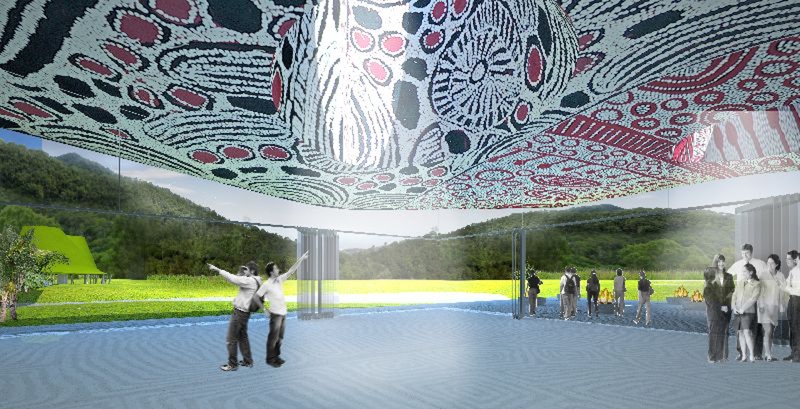 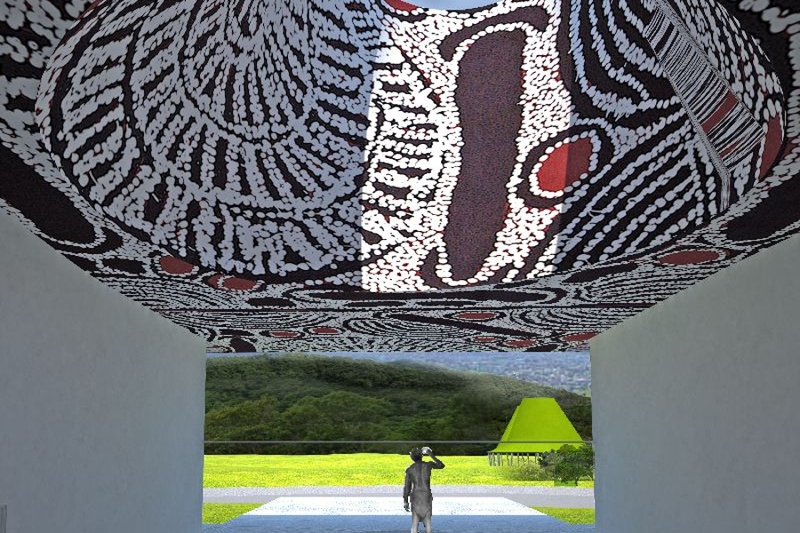 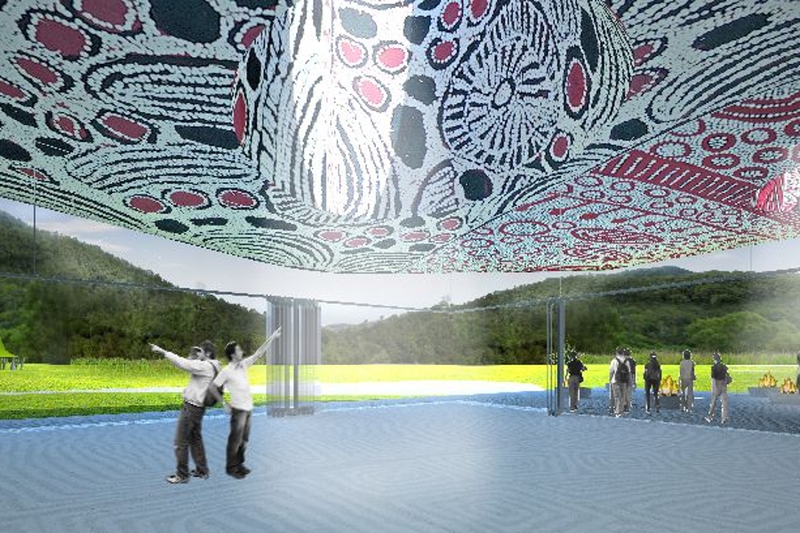 TERRIOR’s design for the redevelopment of the Tjapukai Aboriginal Cultural Park in Cairns. 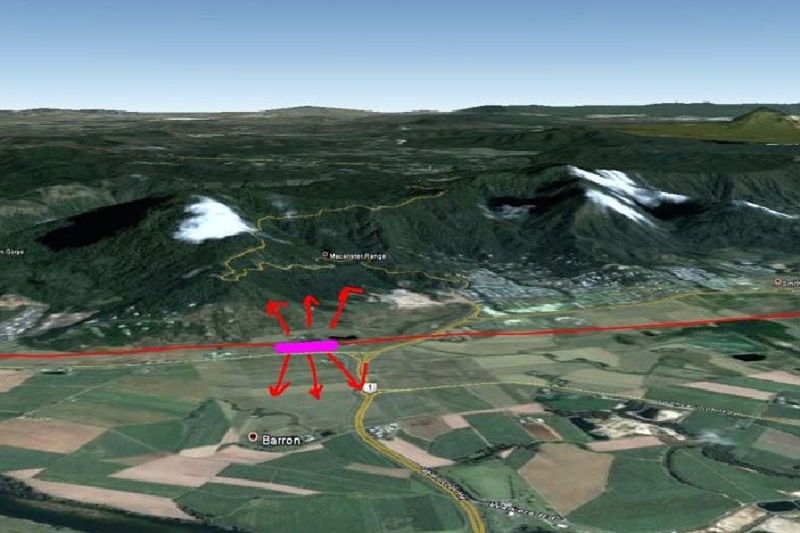 Tjapukai is located at the point where the flat plains of Cairns meet the Macalister Range. 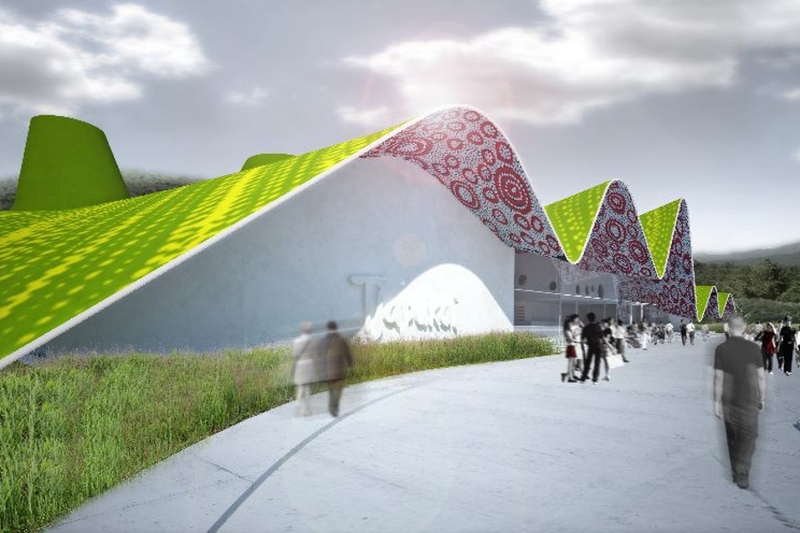 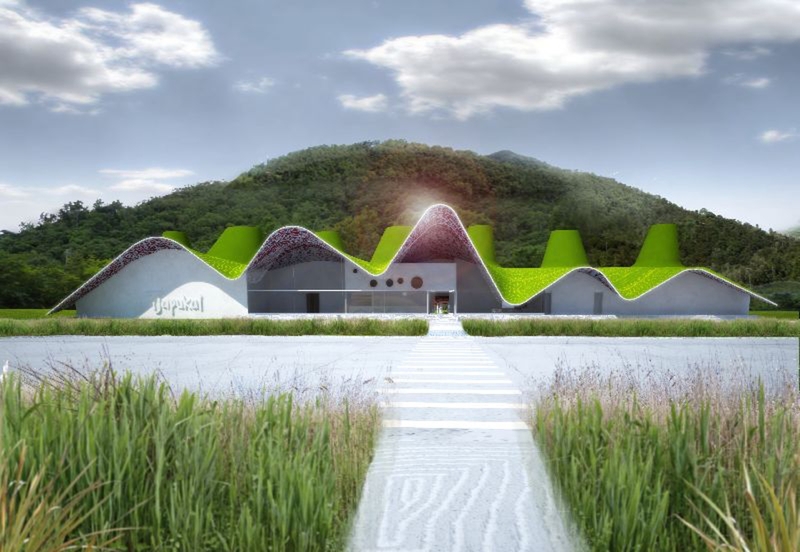 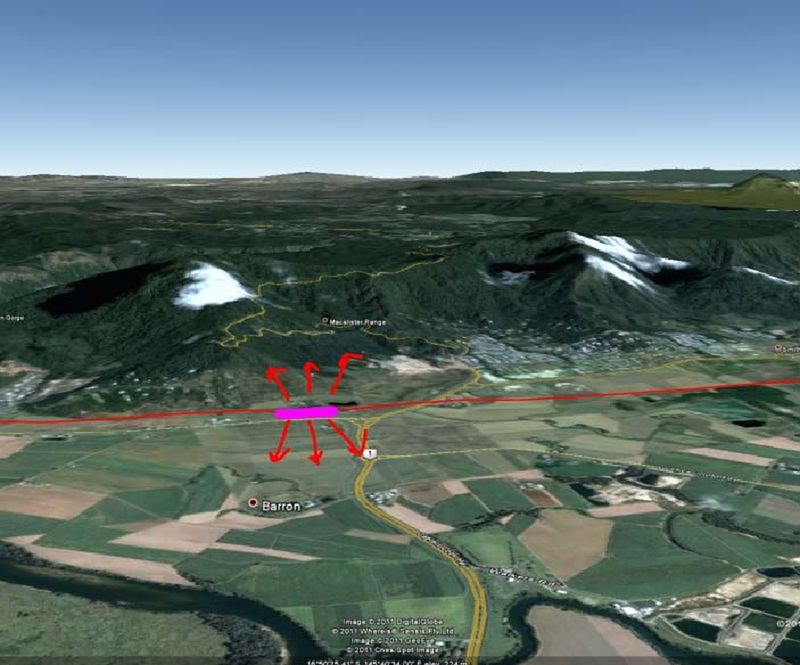 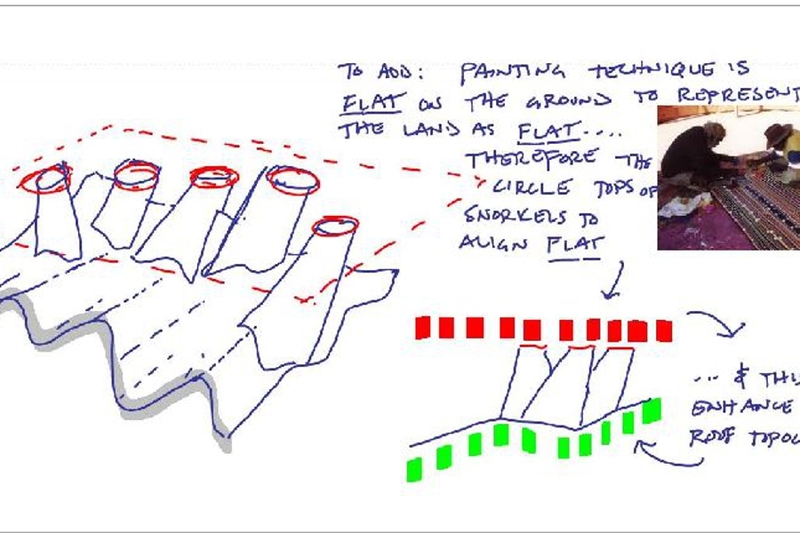 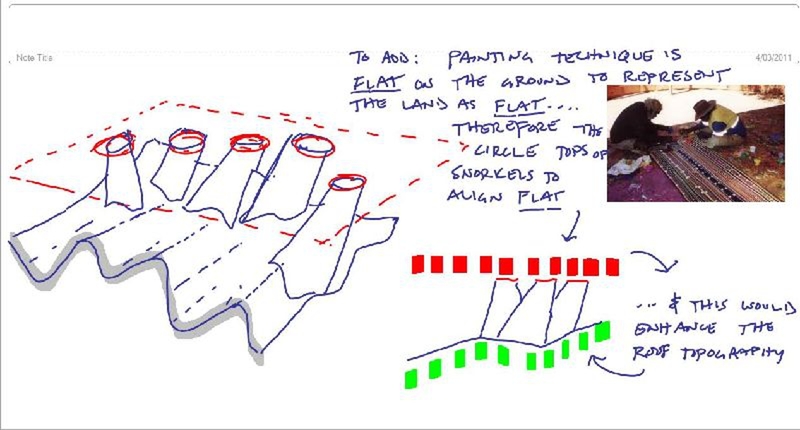 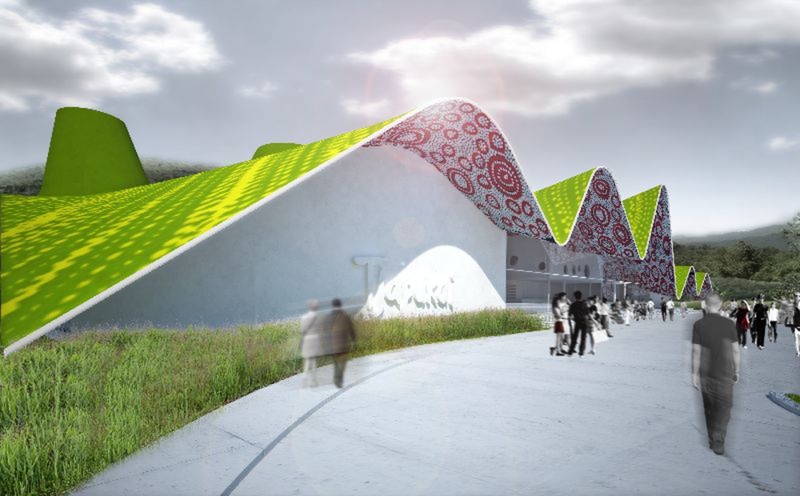 A new roof is proposed, which addresses both the plains and the mountains, allowing a threshold between them to be understood. 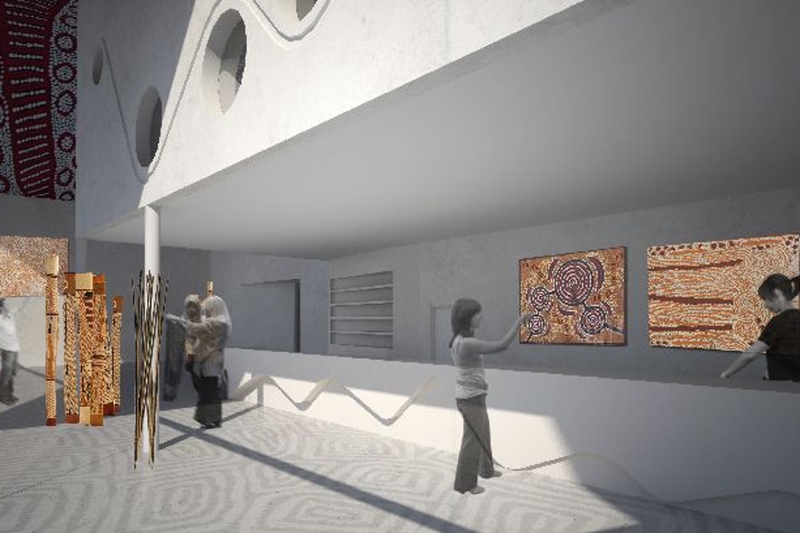 The new roof emulates the Rainbow Serpent, a significant and common motif in the art and mythology of Aboriginal Australia. 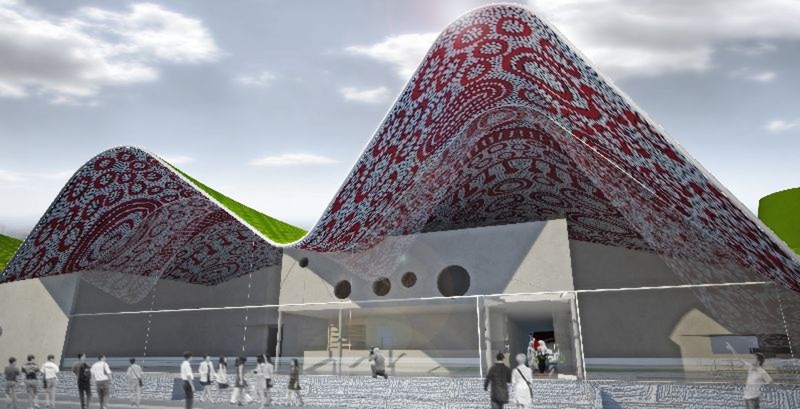 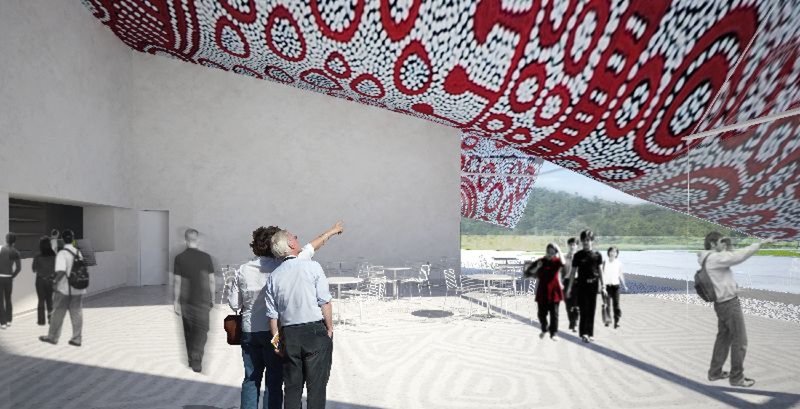 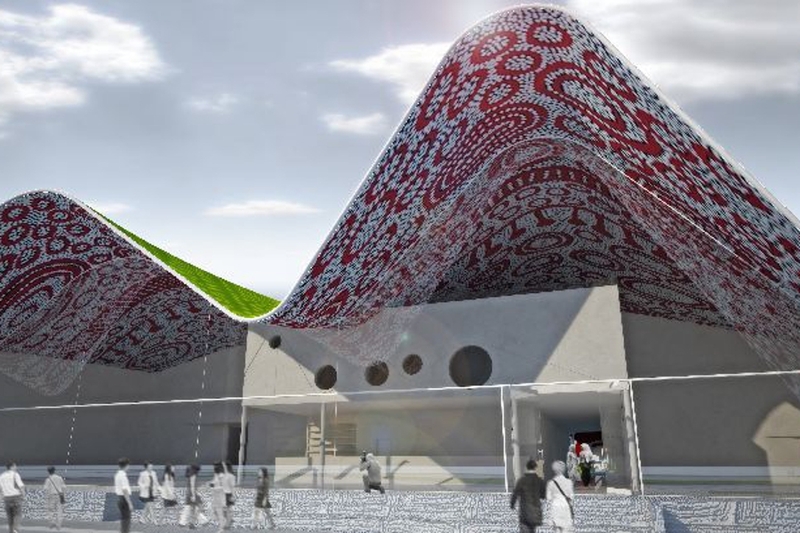 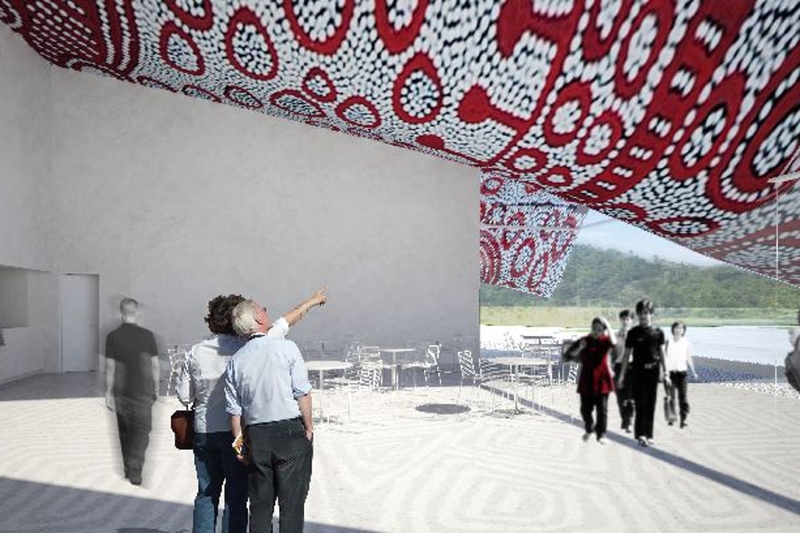 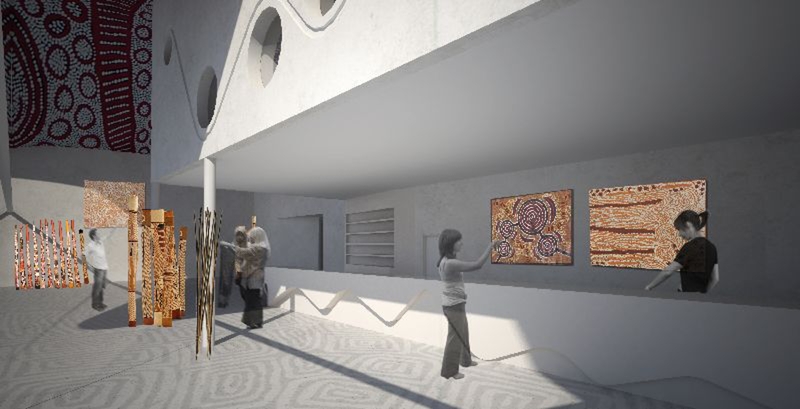 The design also features indigenous artwork on the surfaces of the cultural centre, showcasing the Djabugay people through a variety of scales (large and small) with the utmost respect to their ancient history.